Hvar, One of the top sailing spots in Croatia! Hvar is a city located on the island of the same name in the central Dalmatia. The island and town are often associated with Sunny weather, as Hvar is the sunniest place In Croatia, with well above 300 sunny days in a year. There are a number of qualities Hvar possesses, but perhaps one of the best is its maritime tourism, as it is among the top sailing spots in Croatia. Thousands of Sailors and yachters all over the globe come to Hvar each year to get their piece of this Adriatic paradise. You can visit Hvar anytime with Yacht Holiday, just contact us, and we’ll find the perfect option for You. If you want to visit Hvar there’s a few things you have to consider seeing/doing. Pakleni or Paklinski Islands are a group of 16 islands favorite among the professional and recreational sailors around the world. The most common places to visit are the bays Vinogradisce, and Marina Palmižana on the other side of the same island St. Clement, as well as Carpe Diem Beach, a party paradise at Marinkovac. Consider visiting “Spanjola” a fort above the city of Hvar and experience the amazing view of the Adriatic. St. Stephen’s cathedral in the main square of Hvar city is a renaissance masterpiece of beautiful stonework, a must see in Hvar. Hvar is a tourist destination, well known for its nightlife. Numerous restaurants, bars, and clubs, make Hvar a perfect party destination. Don’t miss the parties. Celebrities love spending the summer in Hvar so it’s not uncommon to spot Beyonce or Tom Cruise just walking around. Close to Hvar is Milna, a beautiful beach where you can drop anchor. On the other side of the island the closest town is Stari Grad, a peaceful bay where you can find shelter in case of a storm. If you have time, it’s definitely worth sailing under the cliffs of Sveta Nedilja, on the southern side of the island. 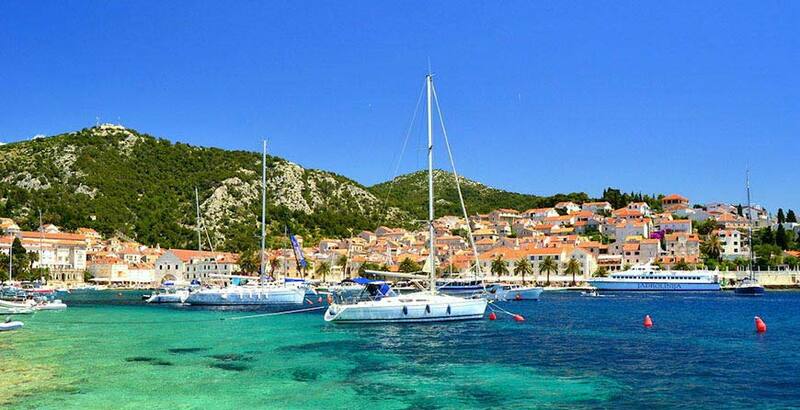 Rent a yacht of any type trough our realtime search engine, and sail Hvar with Yacht holiday!